Miss Conduct is from the ORLY Naughty or Nice holiday 2012 collection. 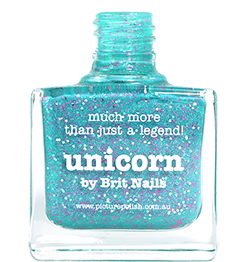 This is one of those polishes that I had to have as soon as I saw it! It's just so pretty! It's a magenta pink with loads of scattered holo. Unfortunately my lamp didn't capture it in all it's glory. You need to get this in the sunlight to really see it pop, the scattered holo is gorgeous. It still looks great even in artificial light, though! Formula is great, full coverage in 2 coats. I got mine from eBay, but I've seen this floating around in TK Maxx in the UK, in a cute little ORLY set, so grab it if you see it! WOW! That's all I can say... How come I didn't know about this one before?! wow, i love this colour, it is just gorgeous. must visit tkmax next time i go shopping. Holy wow! I love this polish! It is so pretty! This is gorgeous! Normally this isn't a color I would go for, but I could see myself wearing it. Gotta love Orly Miss Conduct! <3 It's beautiful! Wow this is stunning. Reminds me of stars. Ooh, the colour and the sparkle is just so perfect! This is beautiful! Just ordered myself a bottle off ebay after seeing your swatches. So excited to get it now!